The seafood Johnny cakes at Bonefish Grill are a popular item on the brunch menu. Years ago, when I lived in West Virginia, my business partner and I would host a brunch for clients and friends every Christmas. It gave us a chance to see people we hadn't seen in a while and make new friends along the way. But the primary reason for the occasion was to celebrate the Christmas season, and brunch is one of the best ways to do that. A breakfast/lunch meal starts the day out right, but leaves plenty of time to get things done, such as working on that Christmas list or getting ready for dinner parties and other evening gatherings that always bring us together during the holidays. We're all so busy these days, though, so the thought of cooking and cleaning, decorating and making other arrangements seems rather daunting — just one more thing to do during an already hectic time of year. Thankfully, brunch is a growing trend in restaurants across the country, according to Mintel, a global market intelligence agency. It's become a trendy meal occasion due to its association with relaxation and innovative dishes, says Caleb Bryant, senior food analyst at Mintel. Locally, the list of restaurants joining the brunch bunch is a lengthy one. Bonefish Grill has been serving a Sunday-only brunch for a while, but recently added Saturday brunch and introduced a new brunch menu as well. "Brunch has become such a dining and social experience, we wanted guests to enjoy it all weekend long, not just on Sundays," says Lexi Plummer, Bonefish's director of marketing. To give you some options, here are restaurants that offer a special brunch menu on more than one day so you can have your choice of days — the perfect way to start your weekend or wrap it up in delicious fashion, meeting friends and getting ready for the fun of Christmas. » Bonefish Grill, 2115 Gunbarrel Road. Brunch hours: 11 a.m.-2 p.m. Saturday, 10 a.m.-2 p.m. Sunday. 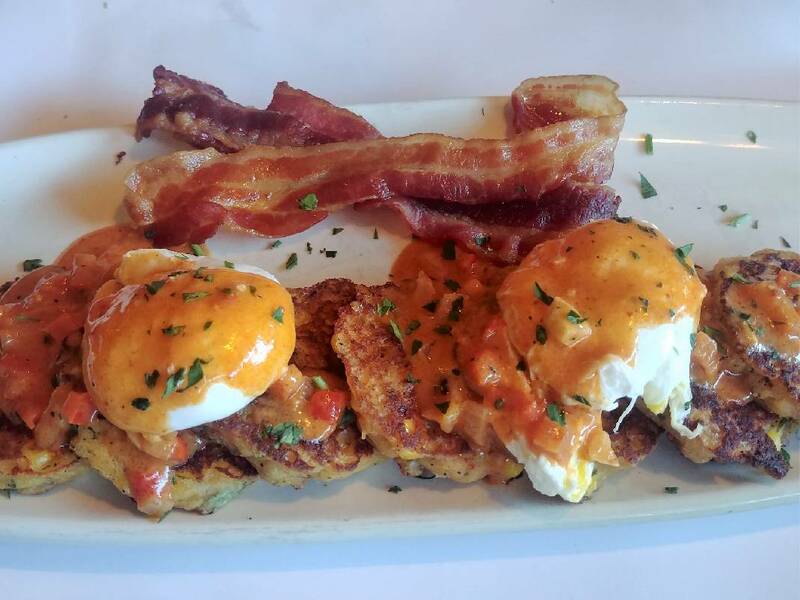 Menu favorite: The Seafood Johnny Cakes and Eggs are corn-based pancakes filled with shrimp and Bay scallops topped with poached eggs and a spicy Cajun sauce served with a side of applewood smoked bacon. 423-892-3175. » Clyde's, 122 W. Main St. Brunch hours: 10 a.m.-3 p.m. Saturday and Sunday. Menu favorite: Wake up to a homemade fried chicken biscuit served with your choice of pimento cheese grits, fruit or home fries., 423-362-8335. » Frothy Monkey, 1400 Market St. at the Chattanooga Choo-Choo. Brunch hours: 6:30 a.m.-5 p.m. daily. Menu favorite: The architect omelet. It's a build-your-own omelet with your choice of one meat, one cheese and two veggies, along with a biscuit, bagel or toast. 423-680-6343. » Easy Bistro & Bar, 203 Broad St. Brunch hours: 11 a.m.-4 p.m. Saturday and Sunday. Menu favorite: The chicken biscuit topped with cane syrup, house-made hot sauce and house-made pickles. 423-266-1141. 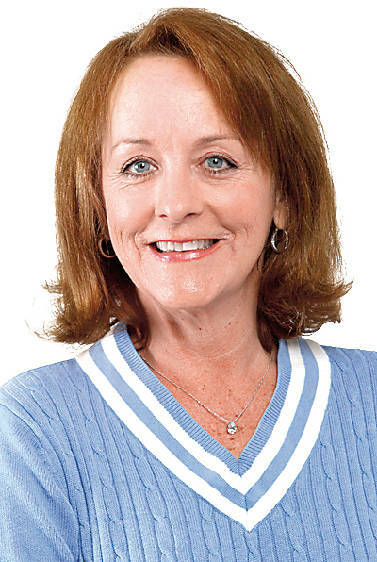 » Bluewater Grille, 224 Broad St. Brunch hours: 11 a.m.-3 p.m. Saturday and Sunday. Menu favorite: Try the French toast — sourdough bread grilled and topped with rum-butter sauce and fresh berries. Comes with sides of bacon and seasoned potatoes. 423-266-0974. » Stir, 1444 Market St. at the Chattanooga Choo-Choo. Brunch hours: 11 a.m.-2:30 p.m. Saturday and Sunday. Menu favorite: The Monte Cristo sandwich is made with Niedlov's bread and layered with ham, bacon, American cheese, mayonnaise and topped with spicy raspberry preserves, then battered and fried. It comes with fries and, like all brunch entrees, the Stir brunch food bar. 423-531-7847. » Backstage Bar, 29 Station St. at the Chattanooga Choo-Choo. Brunch hours: 11 a.m.-3 p.m. Saturday and Sunday. Menu favorite: The sweet potato hash topped with a fried egg. 23-629-2233. » Bitter Alibi, 825 Houston St. Brunch hours: 9 a.m.3 p.m. Saturday and Sunday. Menu favorite: Put a little spice in your morning with the hot chocolate French toast with a spicy-sweet chocolate marshmallow fluff filling, sprinkled with powdered sugar and topped with cold-brew syrup, cinnamon and a little cayenne for a spicy finish. 423-362-5070. » Food Works, 205 Manufacturers Road. Brunch hours: 11 a.m.-3 p.m. Saturday, 10 a.m.-3 p.m. Sunday. Menu favorite: Chicken and Waffles, a fried chicken breast served on a waffle with praline butter and maple syrup, with your choice of brunch potatoes or fruit. 423-752-7487. » The Big Chill, 103 Cherokee Blvd. Brunch hours: 11 a.m.-3 p.m. Saturday and Sunday. Menu favorite: Warm up to a bowl of shrimp and grits Big Chill style. The shrimp are sauteed in a Cajun crawfish sauce with andouille sausage and served over cheesy grit cakes with grilled french-style beans on the side. 423-267-2445. » Beast + Barrel, 16 Frazier Ave. Brunch hours: 10 a.m.-2 p.m. Saturday and Sunday,. Menu favorite: The Creole Crab Benny is the restaurant's take on eggs Benedict, only much better. It's two slices of jalapeno cornbread topped with two deviled crab cakes and two fried eggs sunny side up. It's covered with Creole hollandaise and served with smoked breakfast potatoes. 23-805-4599. » Tupelo Honey, 1110 Market St. at Warehouse Row. Brunch hours: 11 a.m.-4 p.m. Monday through Friday, 9 a.m.-4 p.m. Saturday and Sunday. Menu favorite: The Mountain Harvest Bowl filled with roasted sweet potatoes, sauteed kale, grilled chicken, goat cheese, Granny Smith apples, toasted almonds and a wild-rice blend drizzled with white balsamic dressing. 423-779-0400. » 1885 Grill, 3914 St. Elmo Ave. Brunch hours: 11 a.m.-2 p.m. Saturday, 11 a.m.-4 p.m. Sunday. Menu favorite: North Carolina Rainbow Trout Hash with two eggs and dill cream. 423-485-3050. » Feed, 201 W. Main St. Brunch hours: 11 a.m.-2 p.m. Saturday, 10 a.m.-2 p.m. Sunday. Menu favorite: Short ribs and grits — braised beef short ribs with arugula, Adluh grits and a poached farm egg topped with red wine Bordelaise sauce. 423-708-8500.